By now you will know that there are a bunch of us here at MakeUseOf that love Android phones. Paul’s article on writing an Android app How To Write Your First Google Android Application How To Write Your First Google Android Application Want to know how to write Google Android apps? Most Android applications are written in Java – a relatively easy to learn, friendly language for new developers. Aside from the possibility some money, you could... Read More is a good example of how thoroughly we dig into these little gadgets. However, for a long time none of us were really brave enough to root our phone – it’s a bit nerve-racking to consider that you could turn your expensive new gadget into a brick. But the time finally came that I realized there is just so much more Android phones can offer when you’ve finally rooted it. I opted for the safest, easiest solution for my phone – I went with SuperOneClick How To Root Your Android Phone With SuperOneClick How To Root Your Android Phone With SuperOneClick Read More . Now, with a freshly rooted phone and a new ROM flashed, I went out in search of the coolest things I could do with my souped-up superphone. Let me just say, I wasn’t disappointed. So, you have a data plan through your cellular provider. One day, you find yourself stuck in a car or a bus without any Wi-Fi access, and you’ve got a paper to turn in to your professor, or you owe your boss a report before the end of the day. What’s a geek to do? Using tethering without purchasing a tethering plan is very likely against your terms of service with your cellular company. However, in a pinch you can fire up the Wireless Tether app, transform your Android into an instant Wi-Fi hotspot, and quickly connect to the Internet with your laptop long enough to fire off that critical file. Keep in mind that you’ve got to be rooted, and most likely you’ll also have to have installed a new ROM like cyanogenmod (my favorite for the Droid) that supports netfilter (iptables) in order for it to work properly. But once you hit that green icon, your phone instantly starts transmitting its cellular Internet connection (3G, etc…) via Wi-Fi or Bluetooth. Here’s my PC connected. You can lock down the network, only allowing specific devices to connect, or you can keep it wide open (not recommended). The moment you start transmitting, the device will show up on your laptop or desktop Wi-Fi network list. Go into the settings to add encryption or change the SSID transmitted by the phone. If you’re broadcasting without a plug, you’ll definitely want to turn down transmit power to conserve the battery for as long as possible. A lot of people root their phone for the sole purpose of overclocking and speeding it up. Personally, a bigger concern of mine isn’t speed, it’s battery life. I want to stretch out the battery life as long as possible. If you’re rooted, a very cool app you can use for either overclocking or undervolting is Setvsel. When you install and run the app, it displays the current CPU speed in large font in the center of the screen. Slide the blue bar to the left to overclock your Android and increase performance, or slide it to the right to slow it down and save on battery power. Just changing it a little bit to the right dramatically increases how long my battery stays charged – it’s pretty impressive. It’s written for the Motorola Defy, but it worked fine on my Motorola Droid. Just be careful about overclocking, that you don’t overheat your phone and damage it. A while back I wrote about a security app called Mobile Defense Mobile Defense - A Free Mobile Phone Tracking System [Android] Mobile Defense - A Free Mobile Phone Tracking System [Android] Read More that could track your Android if it ever got stolen. Mobile Defense only allowed for very general tracking. Now, with a rooted Android, full remote access is possible, and that’s what WebKey accomplishes. With WebKey, you can access your Android’s GPS, SD card, location and a whole lot more. If you’re on the LAN, you can access your device using the IP address. From outside the LAN or anywhere on the Internet, you’ll need to access the special androidwebkey.com page to access your phone. The moment you log in, you’ll see just how powerful this remote access app really is. As you can see, the application gives you almost full access. You can see the current screen and take snapshots, adjust the backlight, open a webpage on the phone, run commands, make a call and more. Click on the GPS link at the top to get exact GPS coordinates of where the phone is located. You can see recent calls, check SMS messages, open up a Terminal and issue commands to the phone, and clicking on SDCard, you can browse through all contents of the memory card through an Explorer-like browser app. If someone else is using the phone, you can click on the “Chat” button at the bottom of the browser window and establish an instant chat session with the person using the phone. There are a whole lot of uses for powerful web-based access to the phone like this. Install it on your kid’s smartphone for peace of mind. Maybe you’ve issued phones to workers and want to keep a log of all data and phone usage? The possibilities are endless. Do any of the apps above satisfy any of your reasons for rooting your Android phone? Did you have other reasons why you wanted to root? 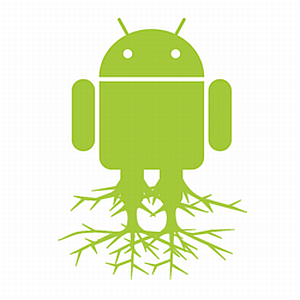 What cool apps have you uncovered for your rooted Droid? Share your insights and opinions in the comments section below. Pls review the comments of Johnatan Hall, zfter a 1/2 year still no hyperlinks. How to proceed directly from my pad/phone? Giving links to the apps you're talking about as QR codes, but not as actual, clickable, hyperlinks, is possibly the worst decision ever, and you should be ashamed of yourselves. can i give root permission to one app only? and if i do how? It seems as if setvsel is pretty dangerous,but...let me have a try. If I rooted my LG Votex,and then try to use the WiFi is it free or will verizon try and charge me $30.00 a month for that service..I have heard several opinions about it.. I'm assuming you mean mobile data instead of WiFi? WiFi is always free, regardless of what service provider you have. Samsung provides tethering in its original ROM.... With the option of Mobile AP, anyone can create a wifi hotspot..! how do you use the QR code? Aren't they usually used for contacts? You need a barcode reading app on your phone. I use Barcode Scanner. I can tether my HTC Legend running Froyo no probs without rooting. Rooting for the Legend seems long and painful and I haven't found anyone with an easy to read guide to doing it yet. Where does the WiFi tethering restriction come from ? Is that something the telcos put into their ROMs ? I have a Nexus One which I got direct from Google running Gingerbread and I have an option in Wireless and Networks to enable Tethering and Portable Hotspot. No rooting necessary.